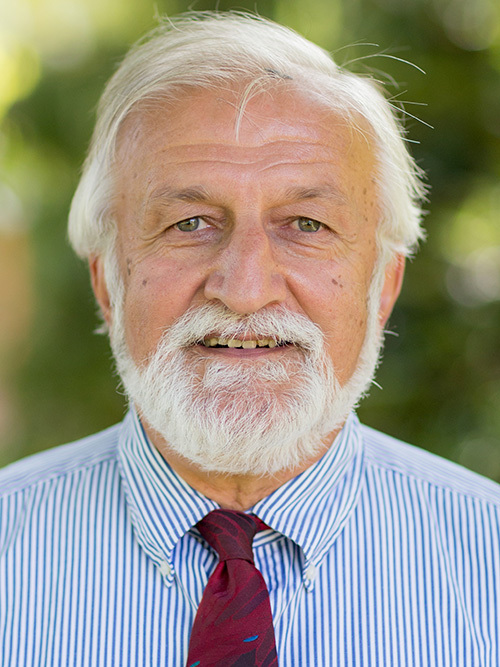 The 1995 George Fox University faculty person of the year and the 1988 NCCAA National Coach of the Year, Tim Tsohantaridis is a native Greek (Thessalonian) who became fascinated by the apostle Paul's Macedonian call. His interests and God's love brought him to a personal relationship with the Lord Jesus and a life of ministry. Tim became an evangelical Christian and was nurtured and discipled in the Greek Evangelical Church under the ministry of Rev. Argos Zodhiates. In the United States, his spiritual journey had two very strong influences: the Presbyterian Church and the Rev. Burt Smith, and the Evangelical Friends Church and Pastor James Brantingham. Tim's pastoral ministry includes church planting, youth work, bilingual ministry and educational ministry. His passions are teaching about Jesus Christ and coaching soccer, and his lifelong ministry goals are to foster accurate Biblical Hermeneutics and to teach the value of Greek in the individual's devotional and pastoral life. Tim excels in the classroom, on the soccer field, and in opportunities to speak at retreat and conference settings. Recently, he gave a four-part lecture series (which was also published in Greek) at the Annual Synod meetings of the Greek Evangelical Church (Thessaloniki, Greece, 2009), "Postcards of the New Testament: Studies in the One Chapter Letters of the New Testament; 2 John, 3 John, Jude, and Philemon," and delivered a chapel message at the George Fox Seminary, "Hermeneutics of Convenience: From Prejudice to Reconciliation" (2010).